The 2017 NFL Season is just around the corner as mandatory team activities are set to get underway. While teams around the NFL get prepared for their 2017 NFL Schedule fantasy football owners are busy at work as well. 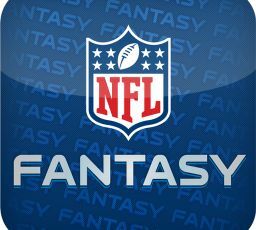 This work includes building draft boards for their fantasy football drafts later this season as well as for the upcoming daily fantasy football campaign. For us we are turning our attention today to our 3 fantasy busts for the NFL 2017 fantasy football season. Much like most seasons some of the games top fantasy options enter the season coming off big time fantasy season campaigns as well as historical accomplishments. This opens up the door for these players not only to be ranked near the top on sites like Fantasy Pros but also means fantasy football owners will draft them higher making them a bigger gamble. Over the years we have seen many different stars take a big time step back including Shaun Alexander and Calvin Johnson after record breaking seasons. With that said here are our tops 3 Fantasy Busts for NFL 2017 season. For Gordon he benefits from a solid offense that likes to move the ball through the air forcing defenses to play off the line while also opening up red zone scoring chances. For us while we like Gordon at the position he currently ranks 9th overall fantasy football option based on the rankings at Fantasy Pros. Now looking a little deeper Gordon wore out as the season slowed down failing to top the 100 yard mark in three straight games before getting knocked out after just three attempts to end his season on December 11th. Along with being a great option early, Gordon has missed a total of 5 games over the past two seasons. McCoy has been one of the better fantasy running back options for most of his NFL career but that could be changing as he enters his ninth season in the NFL. Much like Gordon, we like McCoy as a 3rd/4th round pick but ranking in the top 10 might be a big time reach. McCoy and the Bills will move in a new direction this season with Rick Dennison calling the offensive plays and it could change the flow of their offense. Along with the change the biggest concern for the Bills will be behind center where they may lack production forcing teams to focus on slowing down the running game. We won’t back away and say tha Ajayi had a solid season in 2016 and one that many daily fantasy football owners shined with during his three break out games. With that said 624 of his 1272 yards came in three games. Outside of those three games, Ajayi topped the 100 yard mark one other time while failing to reach 70 yards in nine contests. In the end the reality of putting together three more 200 yard games in one season is almost impossible we could see Ajayi fail to reach the 100 yard mark. Other Top NFL Fantasy Busts for the upcoming 2017 NFL Season could include Jordan Howard, Mike Evans and Kirk Cousins.